Our contemporary challenge, according to Jean-Luc Nancy and Aurelien Barrau, is that a new world has stolen up on us. We no longer live in a world, but in worlds. We do not live in a universe anymore, but rather in a multiverse. We no longer create; we appropriate and montage. And we no longer build sovereign, hierarchical political institutions; we form local assemblies and networks of cross-national assemblages- and we do this at the same time as we form multinational corporations that no longer pay taxes to the state. In such a time, one of the world's most eminent philosophers and an emerging astrophysicist return to the ancient art of cosmology. Nancy and Barrau's work is a study of life, plural worlds, and what the authors call the struction or rebuilding of these worlds. 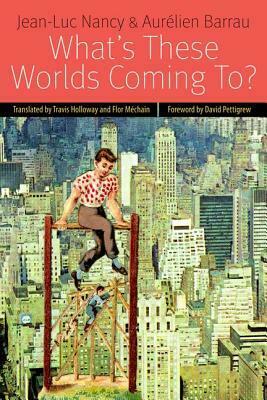 Nancy and Barrau invite us on an uncharted walk into barely known worlds when an everyday French idiom, "What's this world coming to?," is used to question our conventional thinking about the world. We soon find ourselves living among heaps of odd bits and pieces that are amassing without any unifying force or center, living not only in a time of ruin and fragmentation but in one of rebuilding. Astrophysicist Aurelien Barrau articulates a major shift in the paradigm of contemporary physics from a universe to a multiverse. 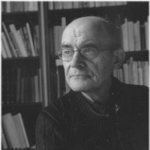 Meanwhile, Jean-Luc Nancy's essay "Of Struction" is a contemporary comment on the project of deconstruction and French poststructuralist thought. Together Barrau and Nancy argue that contemporary thought has shifted from deconstruction to what they carefully call the struction of dis-order.